Originally part of the Duke of Norfolk estate’ the barn is situated in the small hamlet of Hollow Meadows, just 4 miles from Ladybower Reservoir in the lovely Peak District National Park and the famous Snake Pass, yet only 15mins from Sheffield City Centre. A great location for easy access to all areas including Ponds Forge Leisure Centre. But if you want to relax you can snuggle on the sofa and watch a film. Sit at the table and eat a great meal or relax in the hot tub in the open air. Previously a marketing director, but wanted to be at home with my children but run a business. I lovingly converted our barn to these 2 cottages. I have just refurbished Copse View. All pots and pans supplied. We have spent a lot on our spend so we request care is taken and only plastic utensils are used. We had a great stay for 3 nights at the cottage. It was perfectly placed so we could put on our walking boots and climb up the hills near by. Also the Wyming Nature Reserve on the opposite side of the main road was a great find, with a river to walk across and a great cycle ride to be had. When we arrived there was fresh orange and apple juice, a bottle of wine, a box of shortbread and some chocolate - what an amazing welcome! The actual cottage was gorgeous with an open-plan downstairs and 3 good sized rooms upstairs. We also loved the little dog that kept coming to say hallo! Finally, the hot tub made it all that bit more special for us - a real treat! Thank you for a wonderful stay. 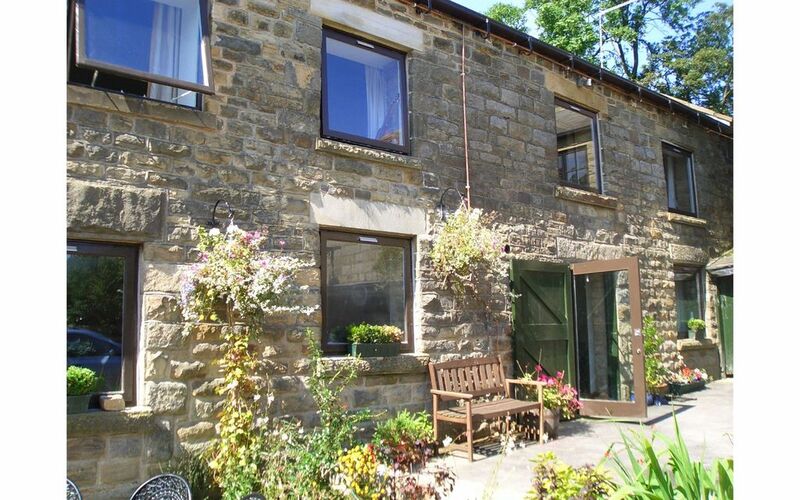 We chose this cottage as a cosy get away from home and weren't disappointed. The facilities were great and we loved the charm of the cottage. We chose the cottage because of the hot tub primarily as it's something as a family we enjoy doing. Our son loved it with the friendly cows just over the wall. The only issue we had was the outside light being out over the hot tub making the walk down there a little testing without the help of our phone torches. Overall we loved it and will probably visit again a number of times. Pubs etc. Would stay again. Clean and tidy, five mins from a tesco express and pubs etc. Would stay again. Thank you for your lovely comments. Look forward to seeing you again.